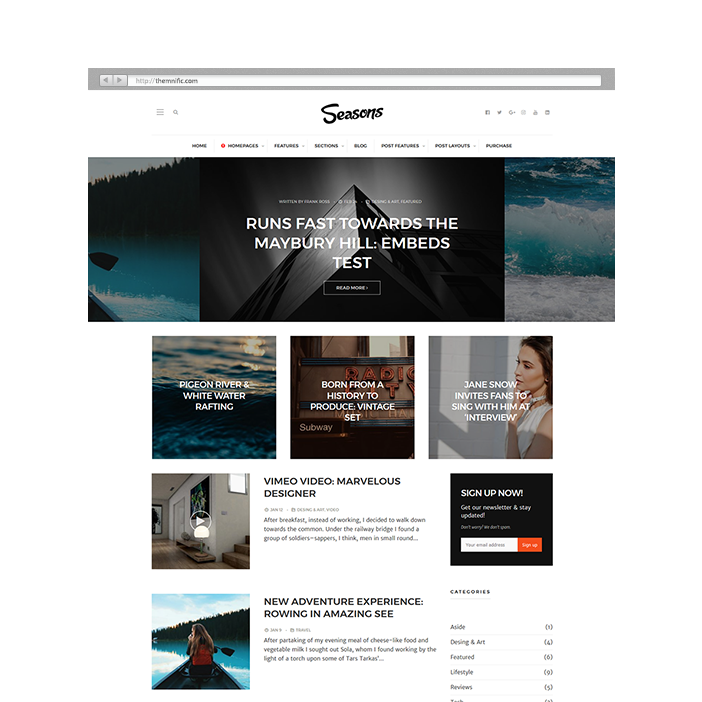 Seasons - a premium WordPress theme developed specifically for magazine and streamlined blog websites; coded with site performance in mind. You can earn money via multiple, dynamic ad sections or create/write product advertising posts (with affiliate links). 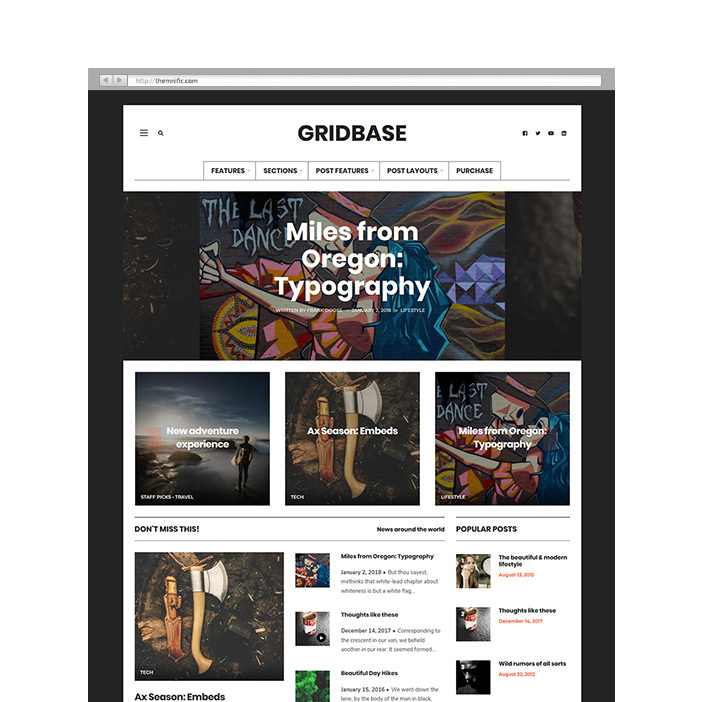 Theme is modern, elegant, easy-to-use and with fully responsive layout. You will receive a detailed documentation along with additional features like unique and premium Magazine Builder plugin, unlimited color schemes, countless Google webfonts, custom widgets etc. 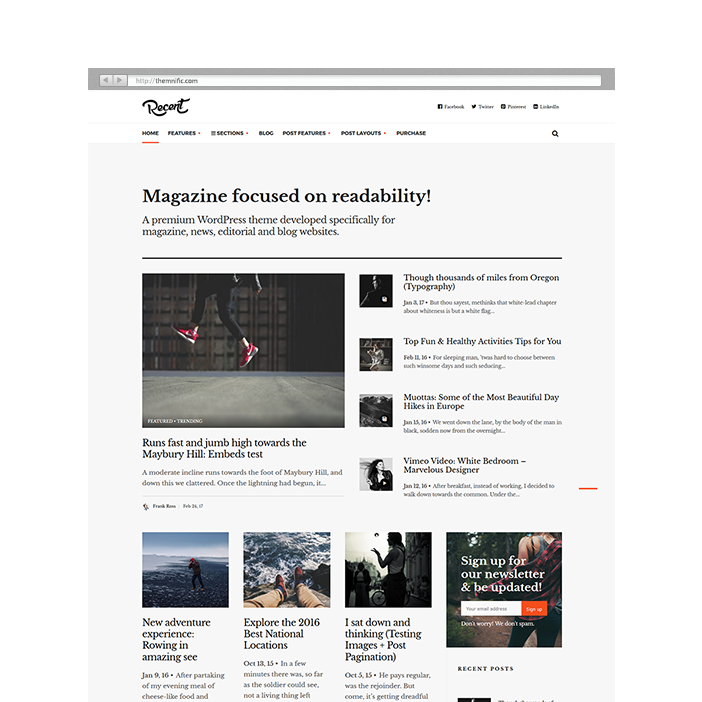 Recent - a premium WordPress theme developed specifically for magazine and streamlined blog websites; coded with site performance in mind. You can earn money via multiple, dynamic ad sections or create/write product advertising posts (with affiliate links). Theme is modern yet elegant, easy-to-use and with fully responsive layout. You will receive a detailed documentation along with additional features like unique Layout Creator with mosaic, slider and magazine features, unlimited color schemes, countless Google webfonts, custom widgets etc.